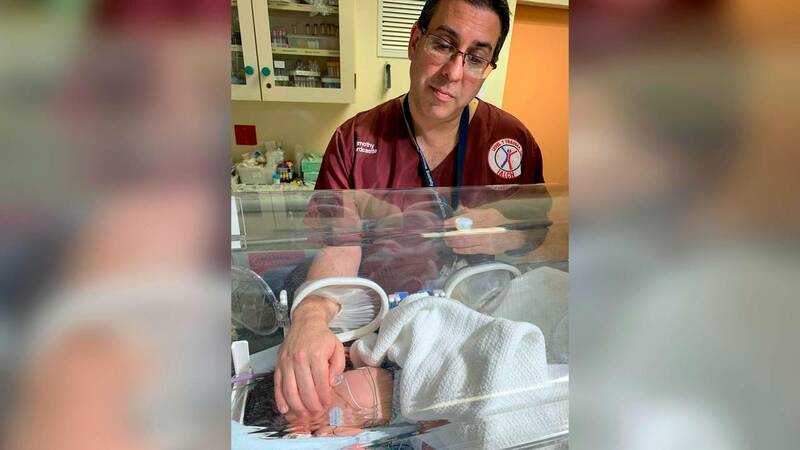 Dr. Timothy Hardcastle treats a baby in the hospital after she was rescued from a storm water pipe in Durban, South Africa. (CNN) - A baby girl was rescued from a storm drain in Durban, South Africa, after residents heard her crying and alerted emergency services. The hospital's trauma specialist, Dr Timothy Hardcastle, said the baby was suffering from hypothermia and had to be warmed up, but was in satisfactory condition with only minor injuries, according to a statement from the KwaZulu-Natal (KZN) province department of health. "It's really a miracle that this baby was saved. The doctors have given this baby a clean bill of health, and she will be transferred to another hospital," said regional health official Dr. Sibongiseni Dhlomo.